Hungarian Darkwave producer Lazerpunk comes loaded with yet another slap in the face thanks to his latest LP effort, Death & Glory. Eleven tracks filled with loud synthesizers, 98 cans worth of Red Bull in sheer energy, and a mean attitude, representing some of his best work to date. Opener Ego Death begins with an ethereal blend of voices, seemingly representing the death coming out of the underworld, back into the mortal realm, as well as the death of the listener’s earthly preoccupations. 25 seconds in, the voices disappear and Lazerpunk charges in with fully-powered, crunchy synthesizers and a thumping percussion line. He blasts his foot on the gas as feels compelled not to let go for a second throughout the entirety of Death & Glory. This is no ups-and-downs affair, rather a flat-out race to the finish line at 101% capacity. The consistency in quality and compromise in not wasting your time make Death & Glory incredibly difficult to put down, so make some time in your agenda. From the fittingly-named Speedracer through the catchy stabs of Black Lambo and Rampage‘s terrifying experience, you will constantly find yourself with a dose of high-octane energy to help you power through the day – or night. 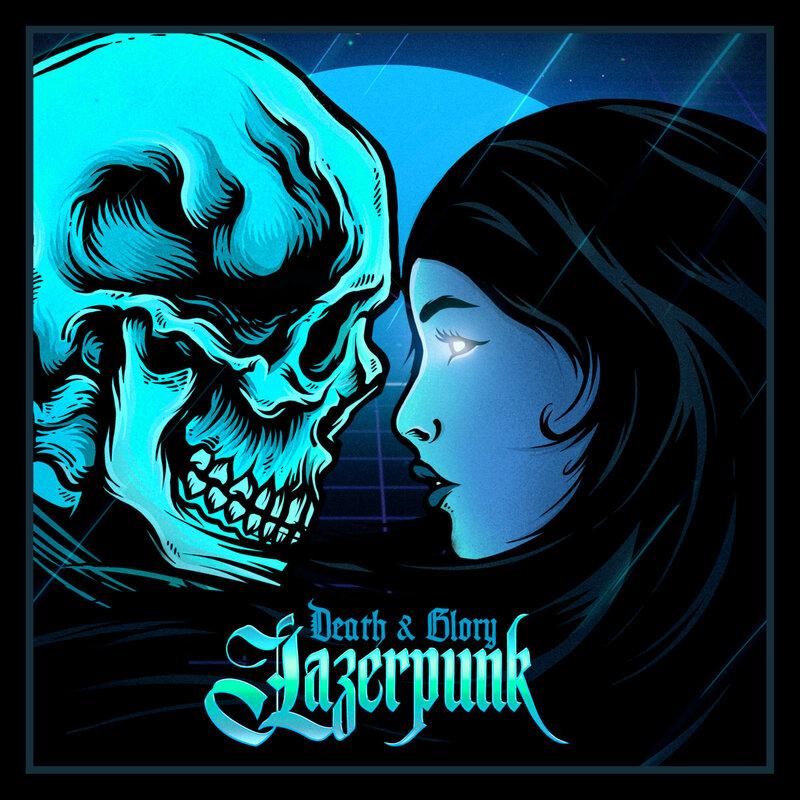 Fans of Darkwave/Synthwave and those looking for uplifting, no-nonsense work will find plenty to love in Death & Glory. As always here, it’s a free download, which makes it all the sweeter. Favorite tracks: Ego Death, Speedracer, Power, Black Lambo, Rampage.